It’s Christmas Eve, and I’m prepping my clan for an evening trip to visit family up north, but I have time for one quick check on the Random Christmas Encounter Table before I go. 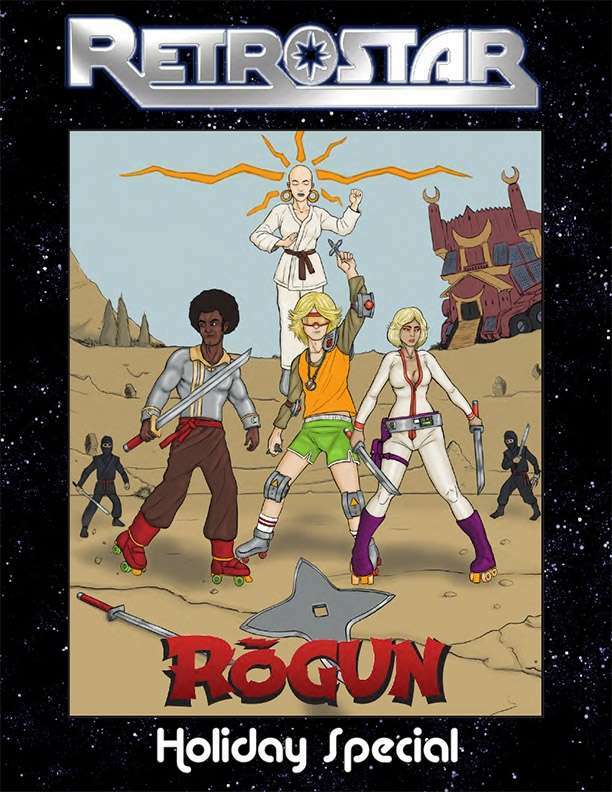 This time, it’s the Rōgun Holiday Special, a free holiday special supplement for the new Retrostar RPG by Spectrum Games. Retrostar is the RPG of classic 70s science fiction television shows. Now I’m going to be honest here – I haven’t had the time to check it out yet (the Pay What You Want starter edition is here), but if history means anything, I’m certain it will capture the genre with the same spirit that their other games (Macabre Tales, Slasher Flick, Cartoon Action Hour, etc) have in the past. So if the idea of roleplaying some classic Buck-Rogers-styled adventures piques your interest, be sure to check out Retrostar, and pick up this free holiday supplement to get started.